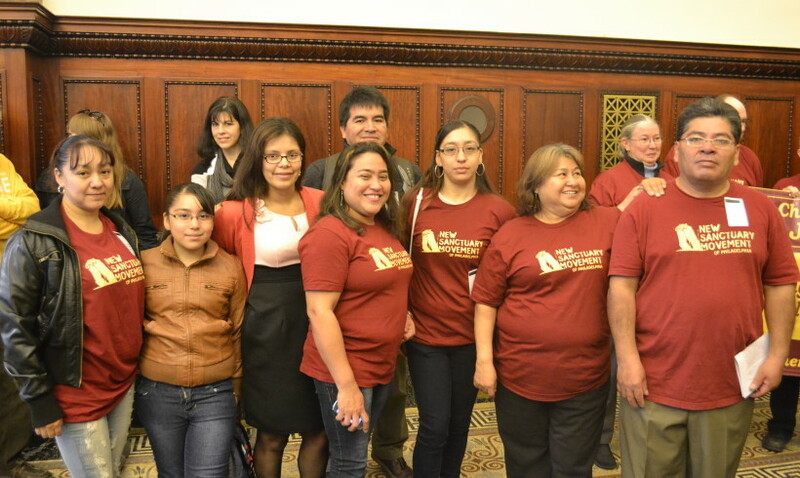 After years of community organizing spanning two mayors, New Sanctuary Movement and the Philadelphia Family Unity Network (PFUN) coalition won a landmark campaign to end all collaboration between the Philadelphia Police Department from Immigration and Customs Enforcement (ICE), making our communities safer from deportation and keeping immigrant families together. 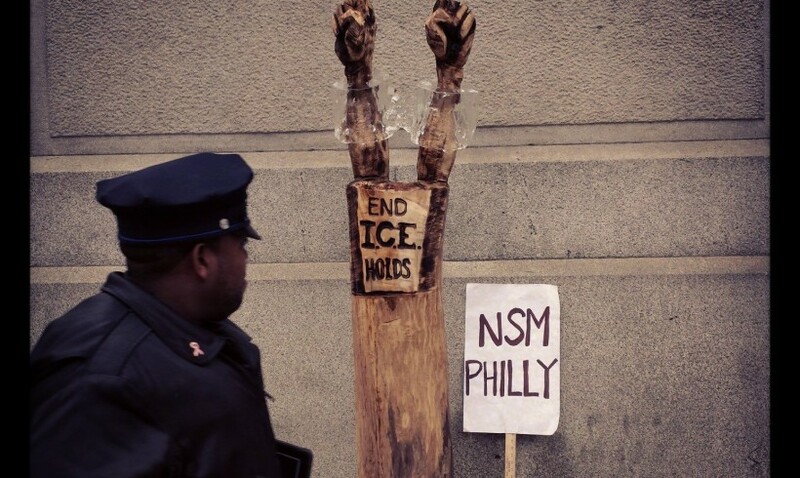 NSM worked on this campaign for 6 years, from 2008 – 2014, and were always led by a core strategy group of immigrant leaders, many of whom were directly affected by the devastating collaboration between the Philadelphia police and ICE. 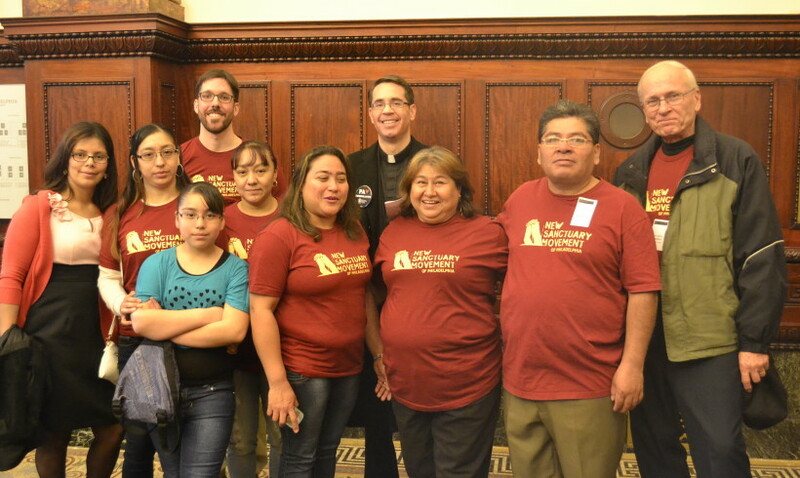 The PFUN coalition includes 1 Love Movement, Juntos, New Sanctuary Movement, Pennsylvania Immigration and Citizenship Coalition, and Victim/Witness Services of South Philadelphia. 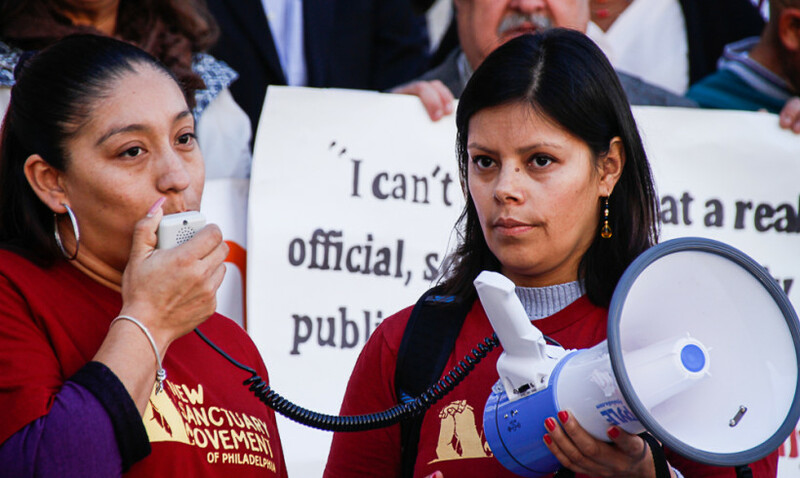 Philadelphia’s policy prohibits all Philadelphia officials (police and jails) from complying with “ICE holds” (also known as “ICE detainers”), 48-hour holds of noncitizens (all immigrants, not just undocumented people) after they would have been otherwise been released from police custody or jail. 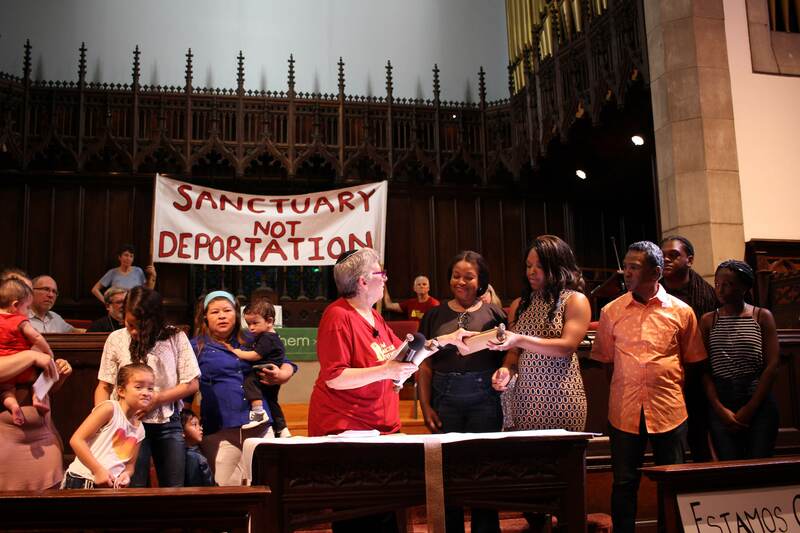 This gives ICE, the deportation wing of the federal government, time to pick up immigrants who would have otherwise been released and put them into deportation proceedings. 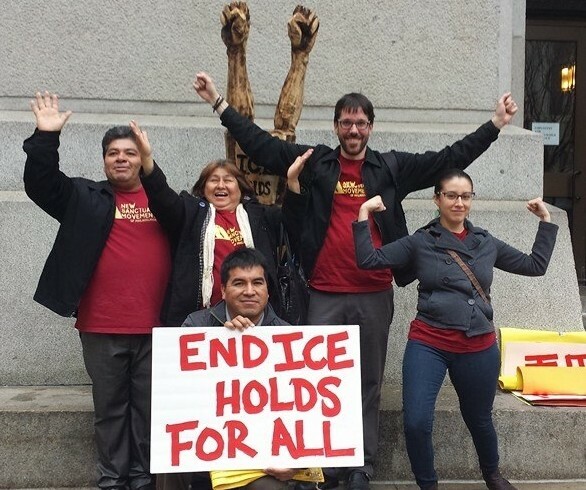 ICE holds and police/ICE collaboration is a key mechanism for mass deportation and one of the reasons why over 2,000,000 people have been deported during the Obama Administration. Our policy is amongst the best in the country because it prohibits all police/ICE collaboration, regardless of immigration status and history with the criminal system. 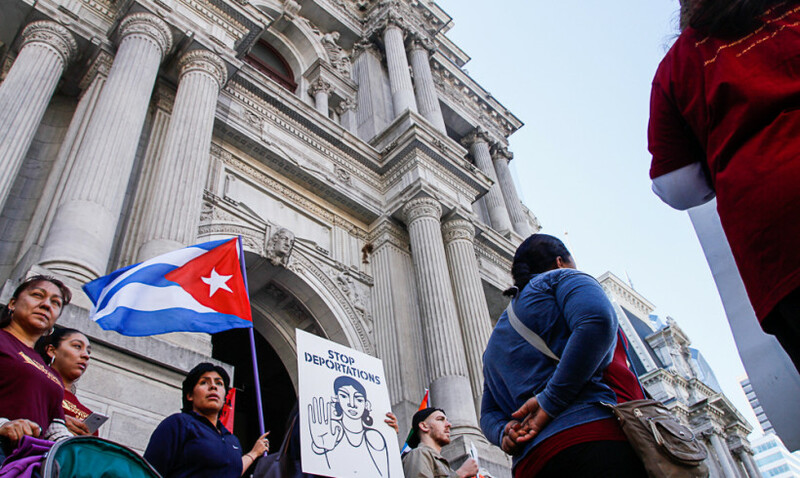 We believe, and the Executive Order reflects, that if someone has served their time incarcerated they should not suffer the double punishment of deportation after incarceration solely because of their country of origin. Our faith values call us to work for second chances and redemption for all, regardless of whether they have committed a crime. 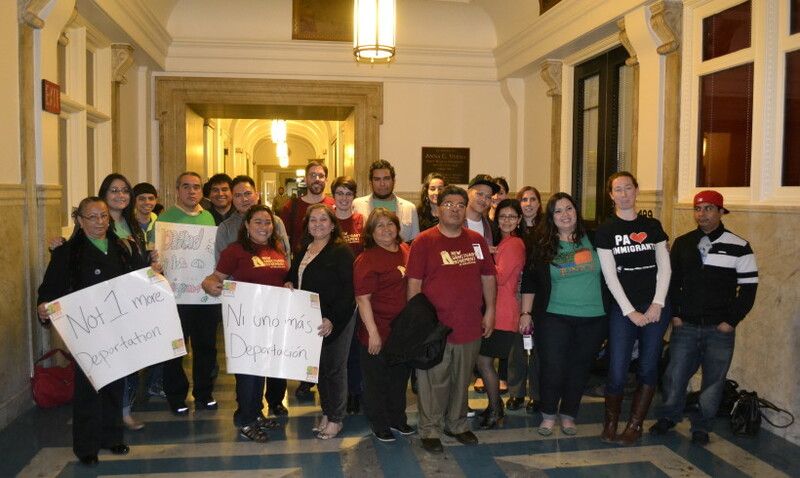 We are proud to have fought and won a campaign that clearly acknowledges and fights back against the intersections between the mass deportation and mass incarceration systems. 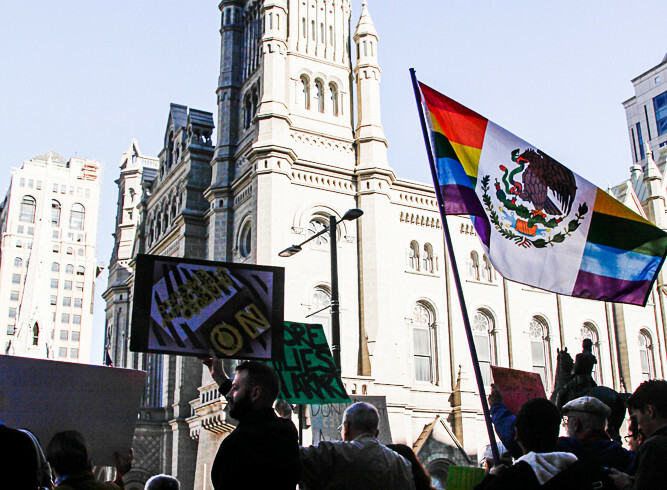 In 2015, Mayor Nutter announced plans to undue the Executive Order and begin local deportations again just weeks before he left office. 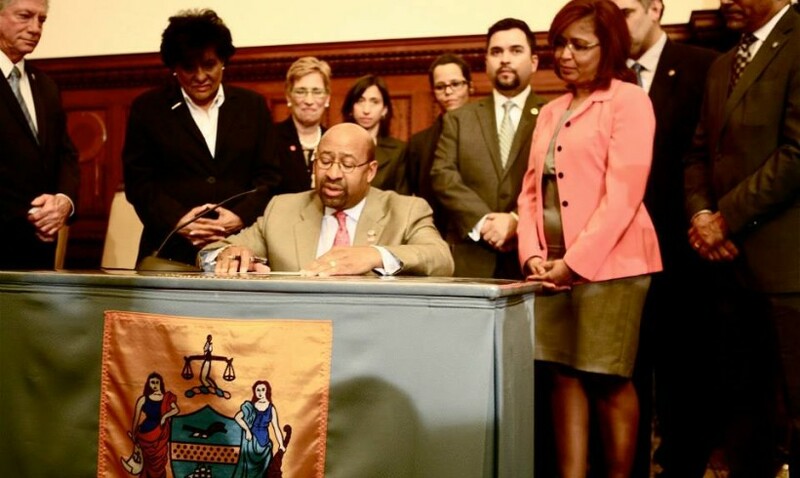 We successfully fought to defend the Executive Order from that attack after a vigorous campaign. 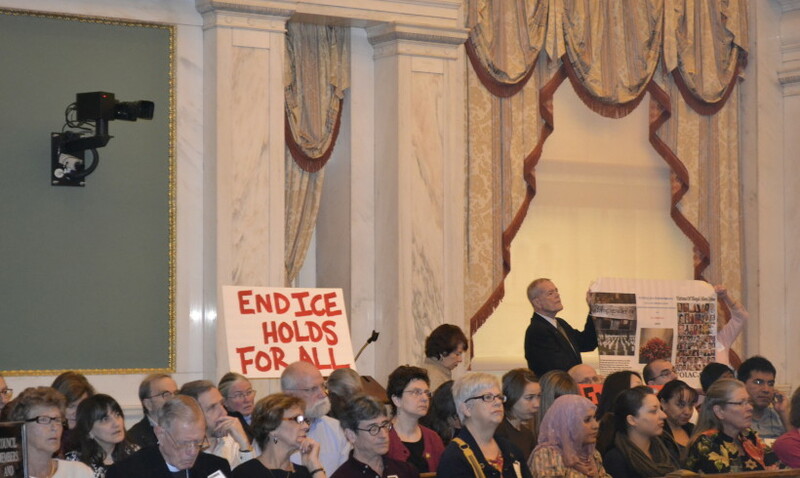 For information on the successful campaign to defend police-ICE separation in 2015-16, click here. Mayor Nutter ends all ICE Holds! 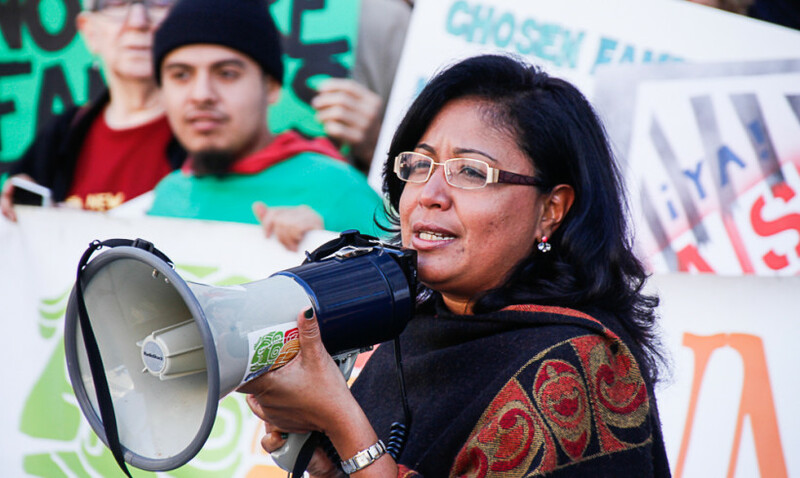 Kids video project to end deportations!